Translate English To French Sentences: Which Industries Use Translation Services The Most? Translate English to French sentences is a popular translation service that is often required. Many different industries rely on translators to ensure that the information they provide is correct in a variety of different languages. It is vital to them, and their customers and users to be understood. Which industries use translation the most? Finding a language translator for your particular industry and the language you need to be translated will take a little research. However, if you are already in one of the sectors that use translators a lot, it will save you time if you ask for word of mouth recommendations from colleagues and peers. Just what are these industries? The scientific industry is one of those that need to translate English to French and vice versa (as well as many other languages) on a regular basis. Important scientific breakthroughs need to be understood across the world, and using a translator to make that happen will save any miscommunication. Scientific work is necessarily a technical and potentially difficult to understand industry, and therefore having expert scientific translators is a must. The medical industry is another that uses translators on a regular basis. But it isn’t just technical work that needs translating – the publishing industry would not be able to sell work abroad if it didn’t use expert translators. A book written in French that was never translated into any other language would mean that the rest of the world would miss out, and so would the publishers’ bottom line. 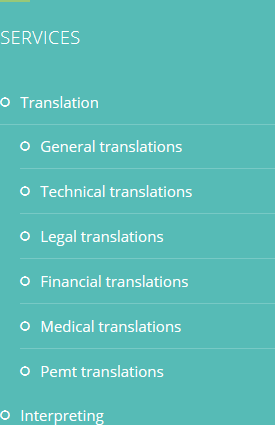 For perfect translation across any industry, come to HQ-Translators. 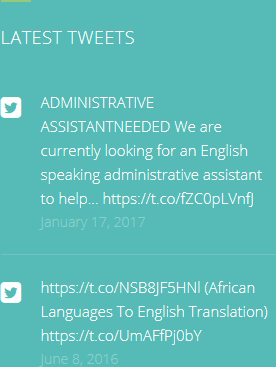 We can translate English to French sentences, and much, much more. 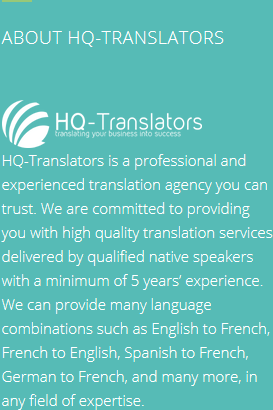 See our services online at https://hq-translators.com. To discuss your requirements, please email the team on infos@hq-translators.com or call us on (00 237) 242 71 38 38, or (00 237) 693 21 69 27.